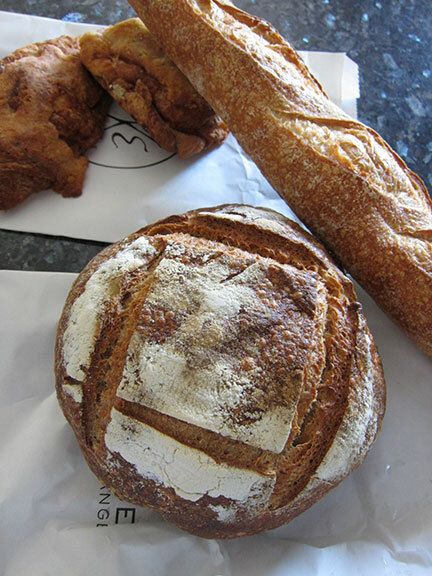 I was able to sample a few breads and pastries from Eric Kayser over the past couple months, and I have to say, it’s a pretty dangerous place for carbivores out there. I liked a few, and some not so much. But that may just be due to personal preference. So here’s some of the stuff I’ve tried thus far. 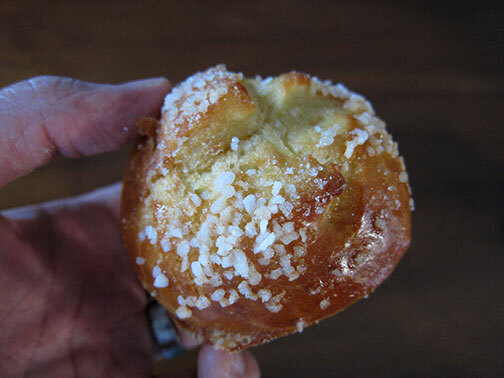 Sugar brioche. A tight little bun dotted with sugar crystals. Rich dough with fine texture but I found it a little dry. 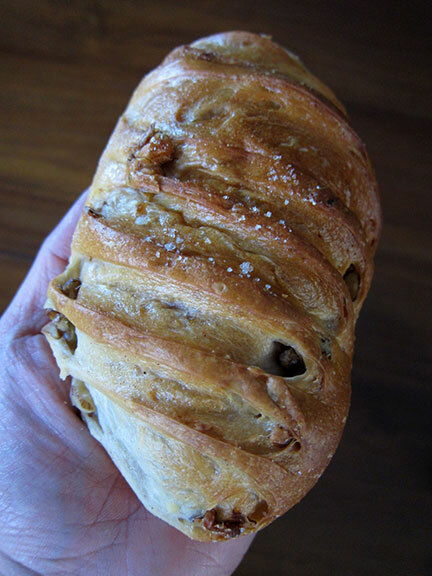 Walnut Viennoise. I’m not really partial to sweet/sweetish breads but had to give this a try since it seems to be quite popular. And my findings: I’m not totally convinced. There are probably more substantial walnut loaves out there. The cookies I was more fond of. 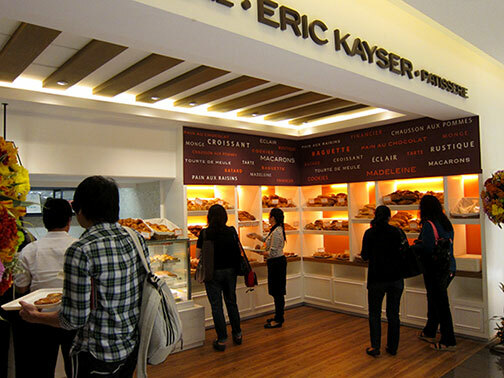 I’m a chewy cookie lover but I liked the dark chocolate variety of Eric Kayser even if it was on the crunchy side. Dripping with butter. Quite nice and not too sweet. 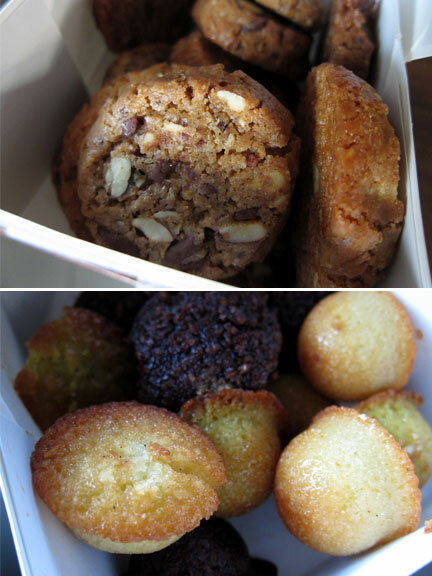 The mini financiers were very good. Chewy, buttery, delicious aroma. Especially from the pistachio flavoured ones, which are my favorite. Would be a good idea to get regular sized ones next time. Back to breads, I also sampled the rye loaf. Typically very hefty and filling. A deeper, nuttier flavor. Quite the utilitarian bread. Great for soups and stews and the like. Or sliced thin and toasted with cheese and drizzled with honey. If you ever want to try making pan con chocolate, this is a good bread to use. Recipe here. The baguette monge and the mini baguettes were quite outstanding. I love the crust; the thunk it makes when you tap it. Thick and crunchy. The insides were nice and chewy, with a slight sour, complex note from the long fermentation of the dough using natural yeasts. (As opposed to industrial strength powdered yeasts which give a totally different profile. Dough using natural yeasts, which I understand is the cornerstone of this boulangerie, need longer time to proof hence the slight fermentation effect. Essentially it’s just making things the traditional way.) 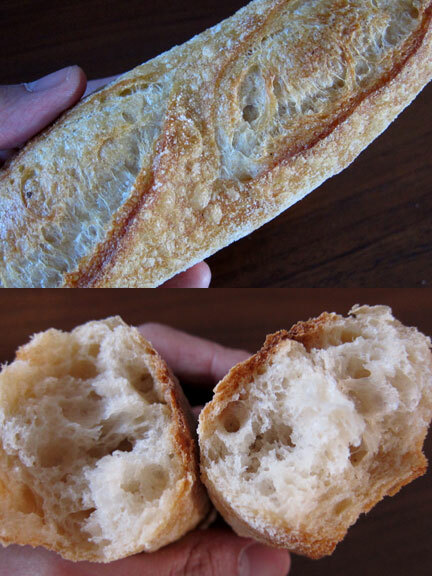 I’ve had one too many bacon sandwiches using this baguette and I never tire of it. Then again, some people don’t like hard breads altogether. And what I absolutely love is the almond croissant. How they make it? The good people of Eric Kayser take some perfectly good croissants, slice it, dunk in a spiked syrup, spread a generous amount of almond cream in and on top and then bake it again till everything melts together. Let’s just not talk about calories. But a great way to enjoy it at home is to put it in the oven toaster for a couple of minutes just to warm it through. And it’s just killer; the smell, the texture. 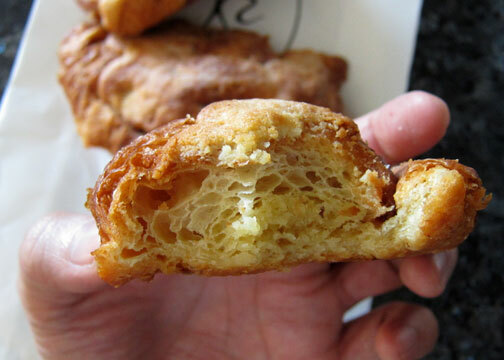 You probably won’t even notice all that good French butter oozing on your fingers. Or won’t care.